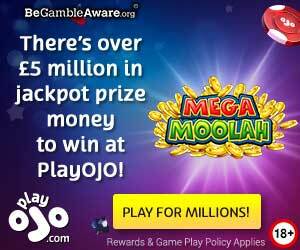 Slots Angel gives £10 and 10 free spins with no wagering to all new players on their first deposit of £10. Sign up a new account and make a first deposit of £10 and use the bonus code ANGEL to get £20 + 10 free spins to play with, the £10 bonus money have a wagering requirement of 35 times before a withdraw can be done, the 10 free spins are without any wagering requirements, you keep what you win with the free spins. Slots Angel gives daily free spins to their loyal members and you can sign in every day and play in The daily classic for a chance to win Free spins bonuses cash prizes.